The M&S 'Best Ever Burger', South-East Style - Kat Got Your Tongue? Burgers – we all love them, and nowadays there is just so much variety when it comes to choosing and making a burger. 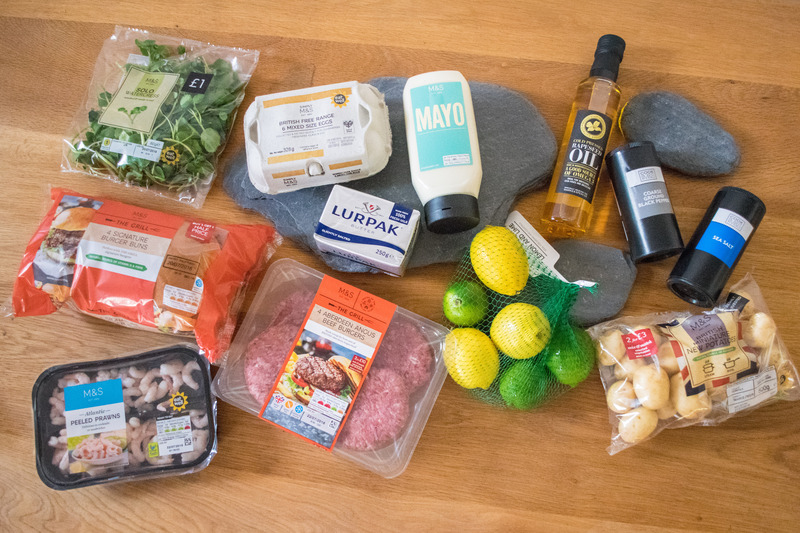 Marks and Spencer have partnered with 2016 Masterchef winner Jane Devonshire to create her ultimate burger for the South. 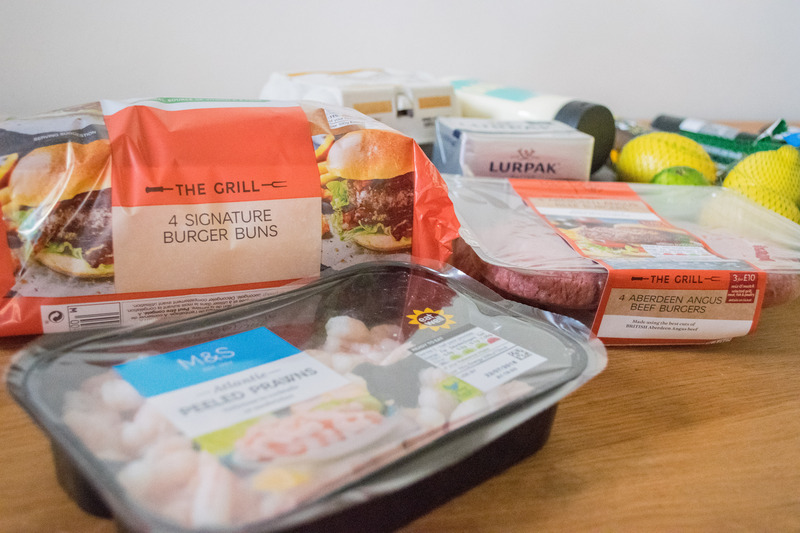 M&S launched their ‘Best Ever Burger’ this Summer, featuring a combination of short rib, chuck steak and bone marrow for a seriously mouth-watering taste, and these burgers provide the base for Jane’s recipe. 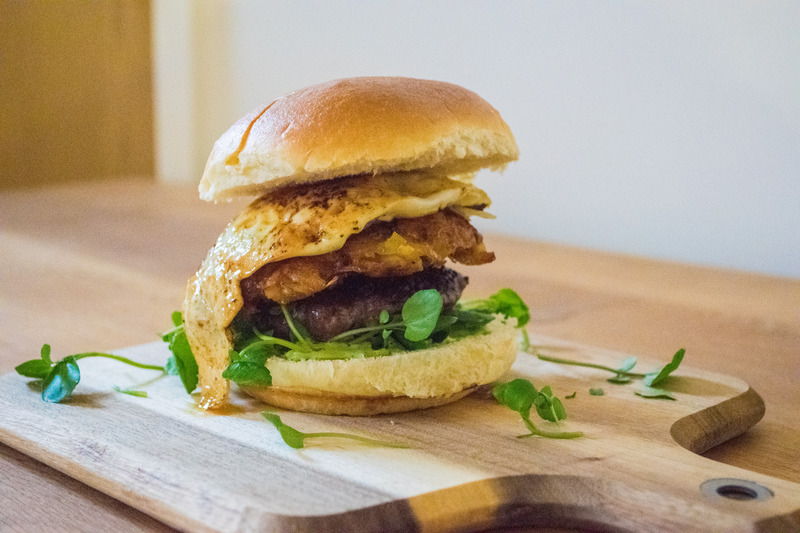 Jane’s burger recipe includes shrimp and watercress, drawing inspiration from Hampshire and the coast – to create a truly delicious surf & turf style burger! I was tasked with recreating Jane’s burger recipe – and I must say, although it was a little more elaborate than the normal burgers I cook at home, it was very tasty indeed! Grate the potatoes and squeeze as much water as you can out using a tea towel until the potato is quite dry – place in a bowl. Chop the crayfish tails to the size of the shrimp and combine with the potato and shrimp. Season well with sea salt and back pepper – set rosti mix aside. Place the burgers onto the grill and cook according to packet instructions. Heat a frying pan with the butter and oil until the butter is frothy, but not spitting. Split the rosti mixture into 4 equal portions and drop them into the frying pan. Using your spatula, shape until they are roughly the size of the burger buns and similar thickness. Gently fry the rosti until they are a deep golden brown, then using a spatula carefully turn over and repeat the process until you have 4 crispy potato cakes. 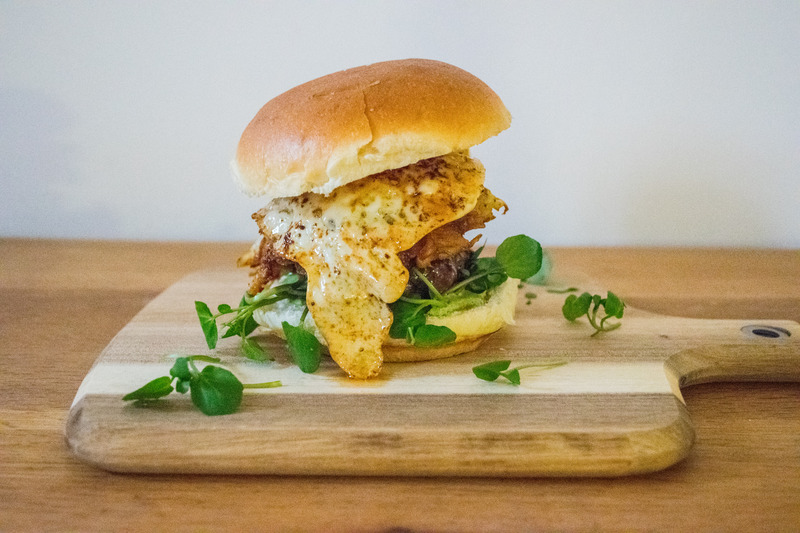 Fry the eggs to your preference, lightly toast the burger buns, spread the watercress mayo over the bottom half of the burger bun and add a spring of fresh watercress. Place the burger on top, followed by the rosti, the fried egg and the bun top. 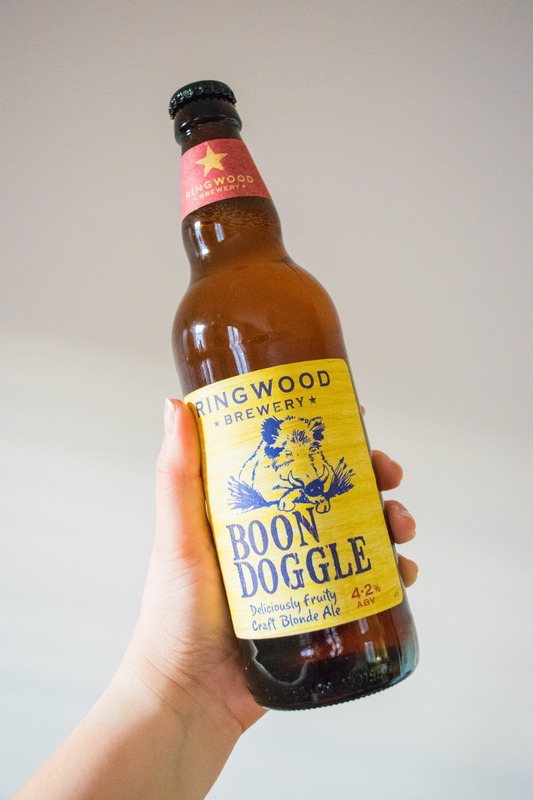 We enjoyed ours washed down with a Ringwood Brewery Boon Doggle. All the best of Hampshire, all in one meal! Here’s how mine turned out – and I’ll be honest, I’m pretty chuffed with it! The rosti definitely took a bit of practice (I’m glad I made 4!) but the watercress mayo was really delicious, and the whole thing was very tasty. We may have had two burgers each – it was hard to resist! Just look at it! Isn’t it glorious. Spending a little more time on cooking dinner was something I really enjoyed – creating a masterpiece rather than just another dinner is something I’ll be doing much more often! Especially when the outcome can be just this tasty. Pop into your local M&S to get the ingredients for your own ‘Best Ever Burger’ – you won’t regret it!